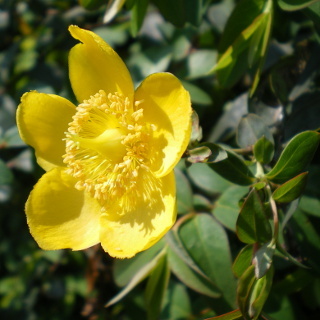 Hypericum blooms yellow flowers. The flower is 5 - 7cm. It put in garden at home. It is called Kinshibai in Japanese. It blooms in Summer to early Autumn.